This post is a part of our article ‘Where To Stay In Goa‘. Bordered by Maharashtra on top, North Goa extends from Pernem to Ponda. With happening beaches, epic parties, and a hippie lifestyle, this is the famous Goa, turned into a legend through the stories of people who’ve experienced this magnetic place. This is the place to be if you want to have a taste of the Party Capital of India. However, North Goa has more to offer than a fast paced way of life and blurry but happy memories of a holiday which ended too soon. It also has great local markets, retreats for people from the crowds in hippie neighborhoods and opportunities to practice yoga and meditation. The rich history of Goa can also be explored by the history lover. 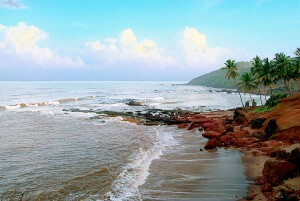 Peaceful and pristine beaches: Arambol, Morjim, Ashvem, Mandrem. If you’re wondering where to find accommodation, we have a set of curated getaways, across several beaches, that you can book. Explore Best Places To Stay In North Goa. Below you’ll find a more detailed guide and compilation of North Goa’s attractions. Train and bus facilities are available as well, but these are usually at a significant distance away from the beaches. We recommend travelling by road by taxi or renting a car or bike. There’s also the unique ‘pilot’, or motorcycle taxi to choose from. The best way to travel from one beach to another, however, is by boat, and boats ply regularly from the more famous beaches. Here is an overview of some of the best places of North Goa, arranged in geographical order based on their distance from Panjim. 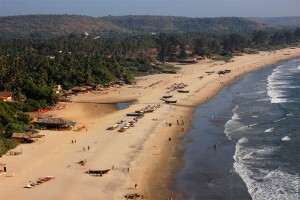 The beach strip from Candolim to Baga is the party capital of Goa. These are the most crowded and happening beaches in Goa, with plenty of shacks as well as shops selling cheap clothes, jewellery and trinkets. Candolim has some of the finest and most popular resorts of Goa. They are priced for indulgence, and not very suitable for backpackers. Candolim Beach isn’t as lively as Calangute and Baga, but it is great for sunbathing and swimming. Candolim becomes popular at night because of a number of restaurants and clubs, offering great food, drinks and parties. The beach curves into Sinquerim Beach towards the south, and here there are options for parasailing and going on boat trips. The crowded beaches of Calangute and Baga have everything you can wish for to party hard and live wild. The entrances to these beaches teem with shops selling all sorts of stuff and offering services ranging from massages and tattoos to great food and cheap beer. 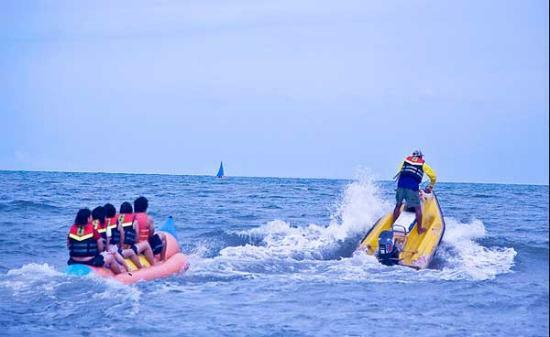 Try out a range of water sports, including wind surfing, jet-skiing, banana boat rides and parasailing. The Baga Flea Market on Saturdays is a fun way to explore the shopping range that Goa has to offer. But of course, the most popular thing to do in Baga and Calangute is to party all through the night. These beaches are best visited in winter and especially in winter, when the party scene is at its best, attracting people from all over. Subsequently, the best facilities, tour packages and food and drink offers are available at this time. The nearest airport is Dabolim Airport or the Goa International Airport, which is 35 kilometres away from Candolim. Trains ply to Vasco da Gama, from where Candolim is 35 kilometres away. The nearest bus stand is in Margao, 35 kilometres away from Candolim. The best way to travel to Candolim and to Calangute and Baga is by road. Try renting a car as it can turn out cheaper than a taxi. Top Places to Eat: The shacks dotting the beachside have great food and drinks. Baga has probably the best to offer here in food and drink. After 7 in Candolim is a romantic setting with outdoor eating and great European food and wine. Souza Lobo in Calangute offers authentic seafood and is always crowded. Their prawn preparations are to die for. St. Anthony’s and Britto’s at Baga offer great seafood steaks. Tito’s, probably the best known of Goa’s night clubs, is located in Baga and attracts great crowds every night. Cavala is another popular nightlife attraction. While North Goa is frequented for its beaches, the history lover will feel at home here with beautiful forts in scenic villages, that tell a lot about Goa’s history and the various influences that shaped its present. The oldest fort of Goa, the Reis Magos Fort, perched on a cliff, has a fascinating history. Built in 1551 and later renovated and extended, the Reis Magos Fort has acted different roles as defence fort, hospital and prison. Overlooking the Mandovi River, the Fort underwent major renovation in 2011, and was open to the public as a cultural centre in 2012. The fort, now in good condition, can be visited during the day. At night, it is rented out for private functions. The view that the Fort commands makes it easy to see why it is so popular for hosting weddings. Inside the Fort is a room in which the history of the Fort is represented. The Fort also houses a collection of Mario Miranda’s paintings. At the foot of the Fort is the Reis Magos Church, built in 1555. Built by Franciscan monks, the interior of the Church is grand and impressive. Every January 6th, the tiny village of Reis Magos comes alive with the Reis Magos Festival, which celebrates the visit of the Three Wise Men to the manger in which Jesus Christ was born. Around twenty minutes from Reis Magos is Fort Aguada, which also overlooks the Mandovi River. Built in 1609-12, the largest Portuguese bastion in Goa was built to control entry by the river and protect Old Goa. This Fort was never taken by force. While the whole of the fort is no longer intact, many buildings within it are open to public and well maintained. At the centre of the Fort is the Fort Aguada Lighthouse. Standing 13 metres tall, it was built in 1864 and is clearly the most interesting feature of the fort. However, the Lighthouse isn’t open to the public and can only be viewed from outside. A new lighthouse which was built in 1976 is located just outside the fort and provides a great view of the coast from its top. Fort Aguada is a popular destination for great sunrise and sunset views. 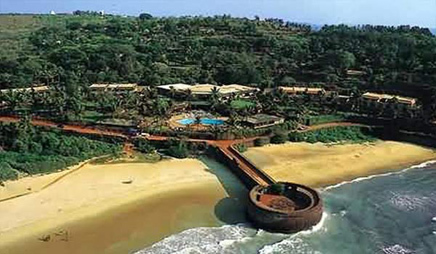 Fort Aguada and Reis Magos, located away from the beaches, is best accessed by car or taxi. Anjuna was a famous retreat for hippies in the 1960s, and many tourists still visit to have an experience of the hippie vibe, even though late night beachside parties have been curtailed by authorities. The north end of the beach isn’t that great, but head to the south and there you’ll find enough of a hippie culture to soak yourself in. Though beachside parties are discouraged, hang around and you’ll invariably hear of a party somewhere. The famous nightclub Paradiso attracts large crowds. The shacks at the south of Anjuna Beach play trance music throughout the day, and rev up the volume at night for a full blown party. 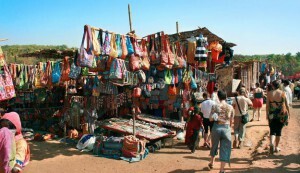 One of the main attractions of Anjuna is the Wednesday flea market. Located to the south of Anjuna, this market attracts large crowds from nearby beaches as well. The market has stalls by both visitors and residents, selling almost everything, ranging from clothes and jewellery to antiques and juice. Some of the stalls here offer great food, and a wide range of cuisines, carrying with it the heritage of the stall owner. Haggle for best prices wherever you go. Anjuna also offers plenty of opportunities to practise yoga and meditation, as numerous centres offer these services for those who want a retreat from the chaos of the world. Top Places to Eat: Curlie’s is one of the most popular beach shacks in Anjuna, and worth a visit for the mixed crowd that frequents this place, and for its food. The German Bakery, on the way to the flea market, is a relaxed place to eat and hang out with friends. The main town in Bardez taluka, Mapusa is a pit stop to stock up on essentials. Tourists also enter the place as it’s the most important transport buses hub in North Goa. Mostly, there is nothing of interest here, unless if it’s a Friday. 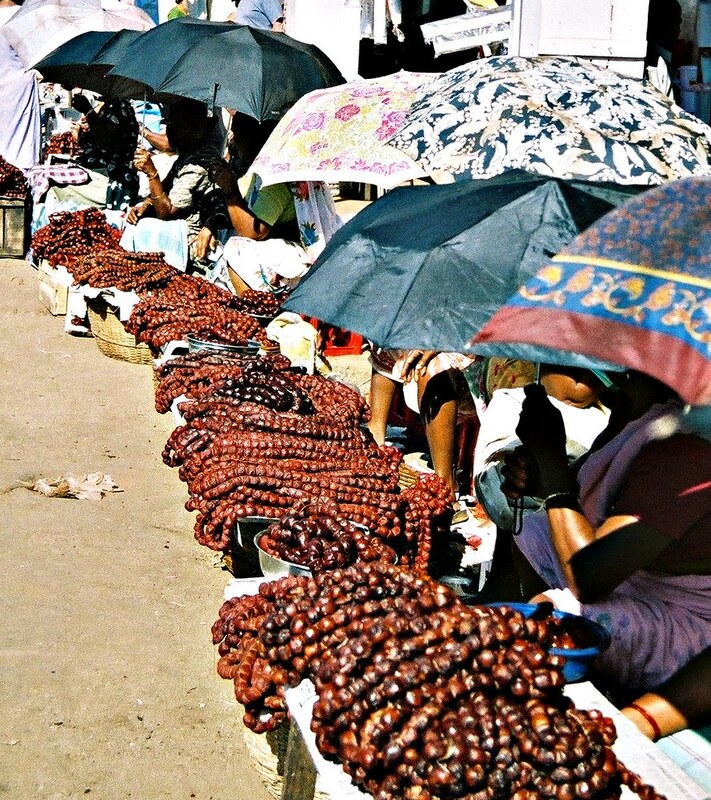 Friday is the market day in Mapusa. The Friday market attracts visitors from all the northern beaches, and boasts of an unbeatable variety of items on sale. The prices here are much cheaper than the stalls which dot the coasts of the beaches. Haggling is fine, and it is expected that you can reduce the price of an item by fifty percent. Mapusa is also where the locals shop. Vagator has two beautiful beaches: the Vagator Beach and Little Vagator Beach, separated by a seaside headland. The red rocky cliffs and the Chapora Fort form a perfect backdrop to Vagator. Characterized by a more laidback atmosphere than Calangute and Baga, Vagator is great for tanning and swimming in the day. Water sports are as good and cheaper here, as well. At night, this place transforms into a party hub like no other. Start your party at the famous Nine Bar, which booms trance music from 7 to 10 PM daily. Then head out to the shacks and the beachside to be a part of the most happening parties in Goa. Another legendary party venue is Hilltop, where Sunday evenings are unforgettable. 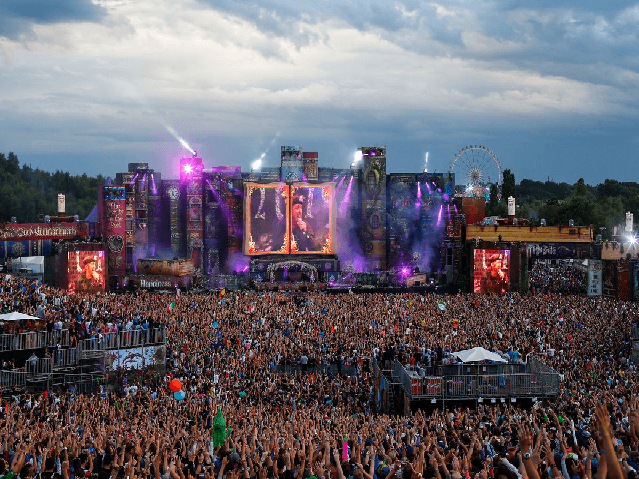 Come in December, and lose your mind dancing away at India’s most famous EDM festival, Sunburn. There are plenty of things to do other than party as well. The view from Vagator is breathtaking, especially from tops of cliffs. It also has some of the best places to eat in Goa. You can also visit the Chapora Harbour, where the fishermen come in with their daily haul. The Chapora Fort, though mostly in ruins now, is still very picturesque and provides great views of the sea, especially at sunset. Vagator is the place to be if you love to party, but prefer a place that isn’t too crowded. Tourists often stay for a long period of time when it is season, to make the most of the party atmosphere. Again, travel is best through road, with the nearest railway station being Thivm. You can also opt for a boat cruise from Anjuna to Vagator to avoid traffic and enjoy splendid views. Top Places to Eat: Thalassa in Vagator offers authentic and out of the world Greek cuisine. Bluebird serves mouth watering seafood, and The Mango Tree attracts a great crowd with its excellent food and bar. The offbeat beaches in the part of Goa that is famous for its crowded shores and rave parties, Morjim, Mandrem, Ashvem and Arambol are a breath of fresh air. They’re prefect for a quiet getaway, if you want to escape the party atmosphere for some time. Morjim, Mandrem and Ashvem are beaches separated by little coves, and its hard to say where one ends and the other begins. Fall in love with Olive Ridley turtles at Morjim, which nest in the sands of the beach in winter. Mandrem has the most number of shacks, and the most luxurious places to stay. Ashvem, calm and restful in the day, hosts open air beach parties at night. Yoga and meditation courses are offered in plenty here, and Ashvem also has enviable options for surfing. Experience the slow paced life of Arambol, which is slowly attracting people from all over who are seeking a retreat from everyday life. Arambol is, in fact, slowly turning into the new hippie haven. Arambol is also great for surfing. Since these beaches are further away, access them by a rented car or motorcycle. Top Places to Eat: La Plage in Ashvem is a great mix of Italian, French and American cuisines. So when are you planning to head to Goa? Already been there? Share your memories with us, and then plan your next trip.